Doubleheader Scheduled for Wednesday, August 29th at 5:00 p.m.
Tampa, Fla. - Tonight's game between the Tampa Tarpons and the Florida Fire Frogs has been postponed due to unplayable field conditions and continuous rainfall. A doubleheader has been scheduled for Wednesday, August 29th. The first game is scheduled for 5:00 p.m. The second game will be played approximately 30 minutes following the conclusion of game one. Both games will be seven innings in regulation. 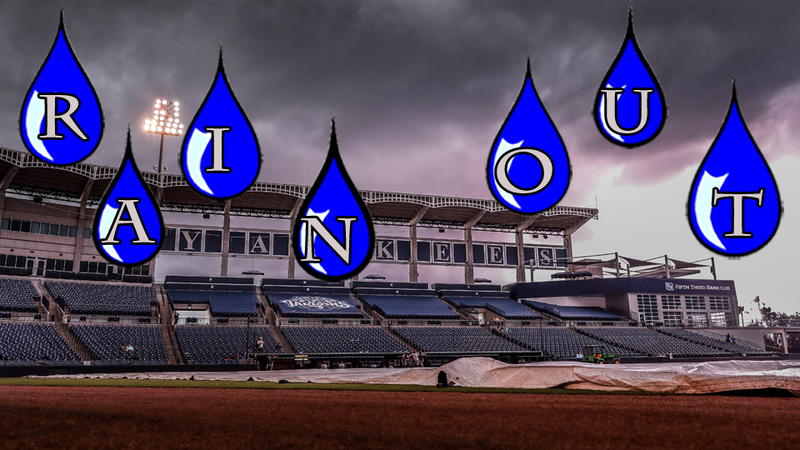 Tickets from tonight's rainout may be taken to the George M. Steinbrenner Field box office and redeemed for any remaining Tampa Tarpons' regular season home game. To purchase tickets, fans can visit the George M. Steinbrenner Field Box Office or visit www.tarponsbaseball.com. Tickets start at $5 for upper reserved seating, $8 for lower reserved seating, and parking is always free. The Tampa Tarpons are the Single-A Advanced Affiliate of the New York Yankees. For more information, call (813) 673-3055 or visit www.tarponsbaseball.com.